For fries: Preheat oven to 400 degrees. 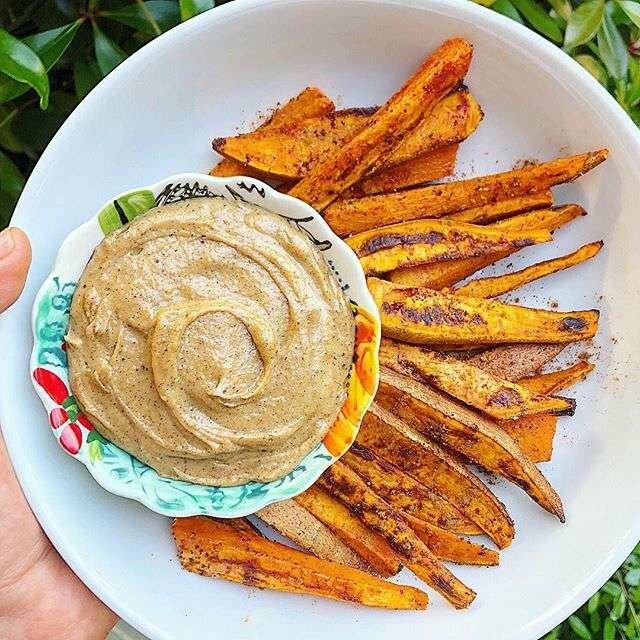 Cut sweet potatoes into fries. Spread on baking sheet and spray with avocado oil spray or coconut oil spray. Season with garlic powder, chipotle seasoning & pepper. Bake at 400 degrees for 15-20 minutes, flipping halfway. Sprinkle with cinnamon & pink salt at the end. For sauce: Combine first four ingredients in a blender and serve!